A smaller rectangular banqueting table that can still seat six people, our 1220mm model has all the functionality offered from the bigger tables. It folds in seconds, and we also supply linen in this size, perfect for when you need them for special occasions, such as formal meals, meetings and exhibitions. Decadence In Earlier Times And Today! A table can take many forms, and even in the distant past they were very different in design depending on what they were needed for. Our 1220mm rectangular banquet table is a light, folding product that is easy to set up, store and can be dressed to look very chic and stylish with table linens - excellent for all your sophisticated London occasions. Although ancient populations didn’t have the very innovative machines that we have today, many of the designs were exceptionally ornate despite this. Depending on location, tables looked very different. Early Egyptian types were made from simple stone and wood, while the Greeks fashioned them using bronze, while Romans made them from different woods and metals combined together. Tables from Rome often depicted mythological figures and animals. Not all early tables were used as a surface for eating. In fact, stone Egyptian types were more like platforms, keeping food away from the ground. During the Middle Ages, trestle tables were becoming much more common, and provided excellent places to sit down and enjoy a meal - much like today’s modern varieties. Extendable tables came into use around the 15th Century, and 200 years later refectory tables became an evolution of them. Usually rectangular in shape, these were longer than standard trestle tables and consequently, the perfect product when seating big groups of people for dining. 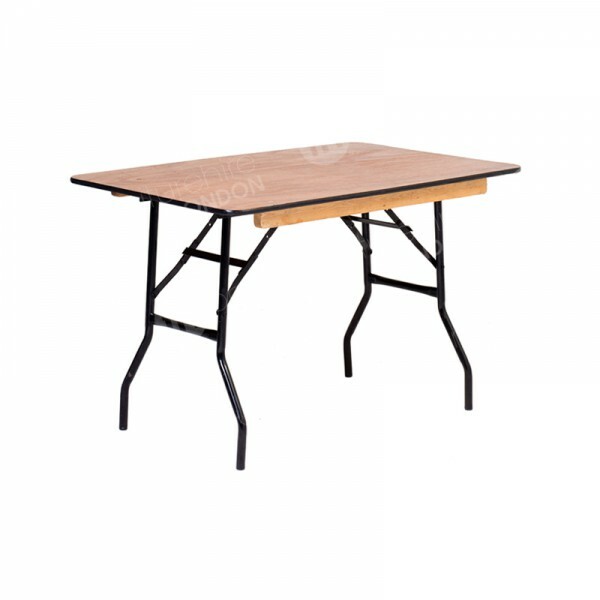 Part of the reason trestle tables are still in use today, is simply because they have all the benefits needed from a product used during meals, events and ceremonies. Our modern day 1220mm rectangular banquet table offers all the practical features that have seen these tables remain popular for hundreds of years, and more so. The fact they fold is a major plus point to choosing this product for your table hire in London requirements. We have lots of experience delivering and installing this item and all our others at functions going on in the capital, and we know how important it can be to rent tables that are straightforward to set up in rapid time. As well as setting them up easily, these are robust and steady, but not excessively heavy so you’re able to move them around and get them into position without too much effort - it’s worth remembering that we’re able to help with this aspect of your occasion via our full installation service, just let us know when you place your order and we’ll get this arranged for you. Practical benefits and fantastic rates mean you get ultra practical banquet tables at unbeatable rates, but our range also looks really great too, especially when combined with linens, napkins and banqueting chairs with covers to match! 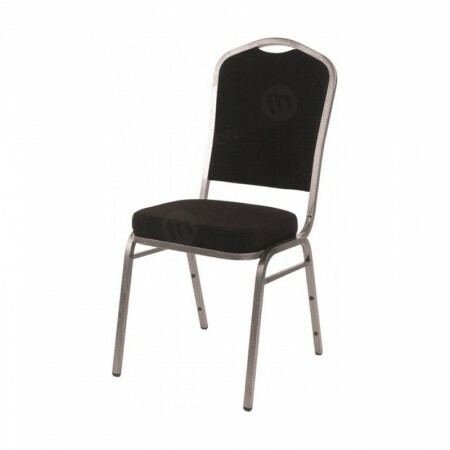 We also have a great range of seating, such as our banquet chair with white or black cover, which boost the stylish look of these tables even more. Is this table okay for six people? You can fit six around this table, but when it’s important that each person has lots of room, then you might prefer our 1830 rectangular banqueting table. What are the most comfortable seating options? This depends a little on your event. Our banquet seating is ideal for formal dinners and has a padded seat for comfort, and when you’re arranging corporate events - such as exhibitions or meetings - then our stacking chairs are a great options thanks to their premium cushioning.